There are two ways educational trusts are typically drawn up. The first is as an inter vivos trust. This means the trust will be established and operational during the grantor’s lifetime. So, if you wanted to set some money aside for your future grand kids and great grand kids now, you’d have an attorney draw up an inter vivos trust. The second option is to include a provision in your will that creates the trust once you die. This is known as a testamentary trust. By waiting to create and fund the trust until after you die, you can avoid potential gift tax issues. This is often the more appealing option, if you beneficiary doesn’t need the fund immediately. On the other hand, an inter vivos trust allows you to manage the trust assets yourself, if you wish. By naming yourself as trustee you’d have total freedom over any investment management and when disbursements would be allowed. You obviously don’t have this option with a testamentary trust. As mentioned earlier, control and customization are the main advantages of an educational trust fund. The trust’s structure and disbursement criteria can be drawn up however you wish. There are certain legal limitations of course, but for the most part you’ll have a great deal of latitude. But beyond customization, inter vivos trusts can be helpful from an estate planning standpoint. If you create and fund an irrevocable trust, the property you contribute will no longer be included in your estate. Granted, you might not have the luxury of using the property yourself any longer. But this can be helpful if your estate would otherwise be on the hook for state or federal estate taxes. When the trust will take effect. Inter vivos trusts can be useful since they can be used immediately. But keep in mind that any property you contribute to an irrevocable trust will be treated as a gift for tax purposes. Currently you’re allowed to give up to $14,000 each year free of any gift tax treatment. Anything above that will count against your lifetime federal gift exclusion of over $5,000,000. Many states also impose their own estate taxes (and have their own lifetime exclusions) in addition to the federal tax. Who will the trustee be? You can name yourself as trustee if you move forward with an inter vivos trustee, but you’ll still need to name a successor to handle things after you die. Whoever you leave in charge of handling the trust’s assets should be the best person for the job. It should be someone familiar with your wishes and the needs of your beneficiaries. Often this is a spouse, adult child, or the beneficiary’s parents. Who are the beneficiaries and how will the funds be used? This is often the fun part for grantors. Think about how many beneficiaries you want to include and how the funds will be divided up. 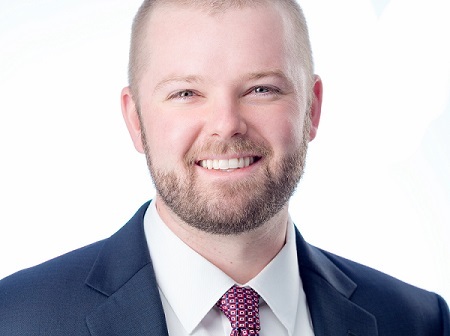 In some circumstances it might make sense to create unique trusts for each of your beneficiaries if their needs differ greatly. On the same note, you’ll need to decide how to divide up the funds. Will each beneficiary be entitled to a flat amount? A percentage of the entire trust? You can always leave this decision up to the trustee, but be sure to provide adequate guidance for them to make an appropriate decision. What type of education will the trust support? Many grantors prefer to include some kind of restriction on the type of education the trust will support. For example, you might want to incentivize a beneficiary to attend your alma mater, or push them toward a 4-year university instead of a local community college. Will there be other restrictions? Additionally, many benefactors like to encourage hard work. Requiring a minimum grade point average or test score is a common way to incentivize beneficiaries. You could also restrict part time attendance, require your beneficiaries to work, or take funds away for certain behavior. How will the trust end? In most circumstances, trusts are arranged to be dissolved once the funds are extinguished (if everything goes well). But what will happen if the beneficiary decides not to continue their education? What if they pass away or become incapacitated? What if there’s money left over after the beneficiaries complete their education? These are all considerations you’ll want to review. While it’s great to have clear objectives surrounding what you want an educational trust fund to accomplish, at the end of the day you’ll need to hire an attorney to draft one. 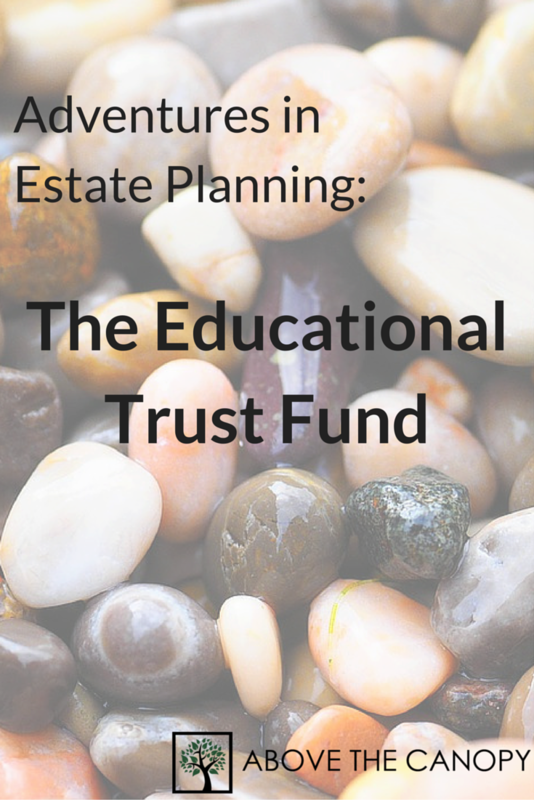 They’ll walk you through all the important considerations and can help you integrate an educational trust fund into your estate plan. Posted in Financial Planning, Retirement, Succession & Estate Planning and tagged college planning, college saving, college savings, education funding, education planning, education trust, educational trust fund, estate giving, estate planning, gifting strategies.